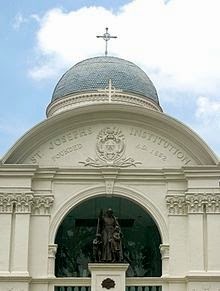 St. Joseph’s Institution is located at 38, Malcolm Road in Singapore 308274. It is enclosed within the Novena Region. Novena is situated at the central section of Singapore. Housing units within this area is more expensive than in other towns because of its central location. The area is mostly filled with private houses and condominiums. Nearest MRT is Botanic Gardens MRT Station and the closest bus interchange is Toa Payoh Bus Interchange. Amenities in the area include Goldhill Plaza, Velocity @ Novena Square and Serene Center. Some of the schools close by are Singapore Chinese Girls Primary School, Anglo-Chinese School and Catholic Junior College.